We specialize in weddings and other formal events such as Quinceannera, Sweet 16, Birthday Parites and Anniversaries. We are the exclusive carriage service for Wright's Mill Farm in Canterbury, CT. 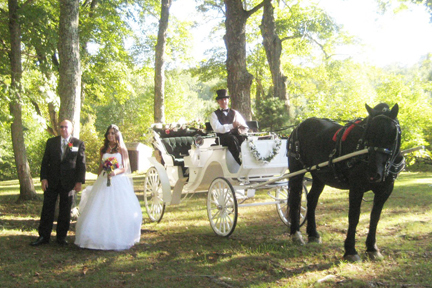 Call Wright's Mill directly to book a carriage or wagon for your event being hosted there. 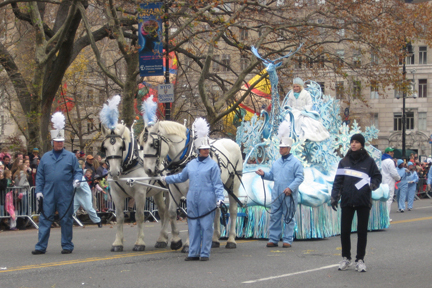 Many of our horses, ponies, carriages and sleighs are available for specialty events and film productions. Please call us for details. 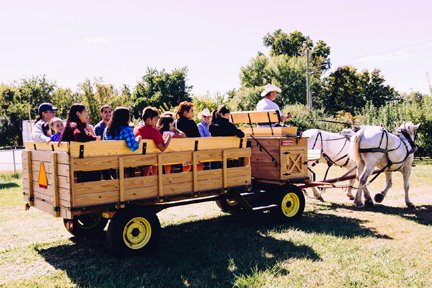 We have hay-ride wagons with bench seats for groups as large as 20, or smaller wagonettes for up to 12 people, which are perfect for orchard rides, country rides, large family gatherings and municipal functions. 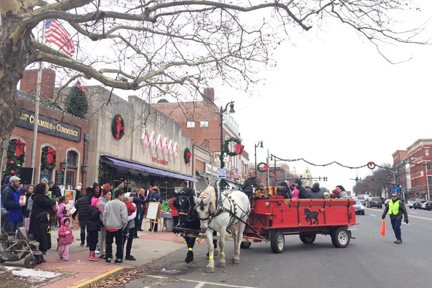 We have wagons and carriages available for municipal and private Holiday events. This is by far our busiest season of the year. Be sure to book your event early! 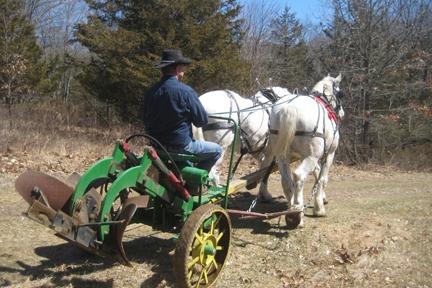 Are you a CSA or organic farmer, or historical museum interested in preparing your fields with horse power? We can provide numerous teams and various horse drawn implements to get the job done. Call us for details.